All being well, it’s going to be a busy week on the blog. On Saturday night, I’ll be jumping on a plane and crossing much of the world en route to the US eastern seaboard (if Hurricane Sandy leaves me anything there to play with). Until then, I’ll be throwing up up a blog a day in order to get caught up with some things. To start things off though, it’s been months and more since I last introduced myself. Regular readers will have to forgive me, but every now and again it’s good manners to cover the basics for newcomers, and my web traffic counters* would have me believe that there’s a flush of new visitors passing through at the moment. So, hello new people. Hope you’re well. Don’t mind those others there. They might look haunted and half feral, but they’re noted for their fine taste in strange, dark fictions. I like to imagine, for my own edification, that it is thier rarified palate for the unusual that draws them occasionally to this interweb lair in search for my latest literary stylings. Some people seem to enjoy my fictional gibberings (which I shall, from this point onwards, refer to as stories), although others are of the opinion that reading them will turn you into some sort of goat fondling atheist**. I’ve been writing for ages and ages now (with breaks for other stuff) and have found been published numerous times in the UK and USA. Until late 2009 I lived in Glasgow, and I’ll go back there at some point in the next couple of years. At the moment, I live with my wife and daughter in New Delhi, India. I can only agree that there has to be some sort of explanation for this. Here’s a quick round up off recent books of mine you might enjoy – there’s stuff here to suit a variety of palates (and I promise I was joking about the goat fondling – some of these books will probably not drive you to molest any large mammals). Thy Fearful Symmetry. Blood will flow. Fire will fall. Days will end. A scroll through my recent archives will unearth an array of posts about this novel, as I’ve been in the process of publishing it since the Spring. It’s a great big apocalypse of a book, in which I make Glasgow ground zero for the end of days. It’s probably best described as dark fantasy, though don’t be misled – with a cast of gods, monsters, men, and beasts all trying to do vile things to one another, it veers through horror’s hinterlands too. For all the darkness, this is a book about faith in various guises (at least, it was when I wrote it… what it’s about when you read it is up to you). The Kindle edition launched a couple of months ago. Next week, I’ll be launching the paperback edition in the US, at Anthocon, and it will probably appear for sale online in the next few days. After that, the novel will slow spread across various other devices such as the Nook and Kobo. It will be everywhere in time for Xmas, like the Pogues singing about misery. Cuckoo. The fight to survive is all in the mind. Last summer, I released a revised edition of my long out of print novel Cuckoo, across all possible formats. You can get it pretty much everywhere now, whether you prefer a paperback or a downloadable file. 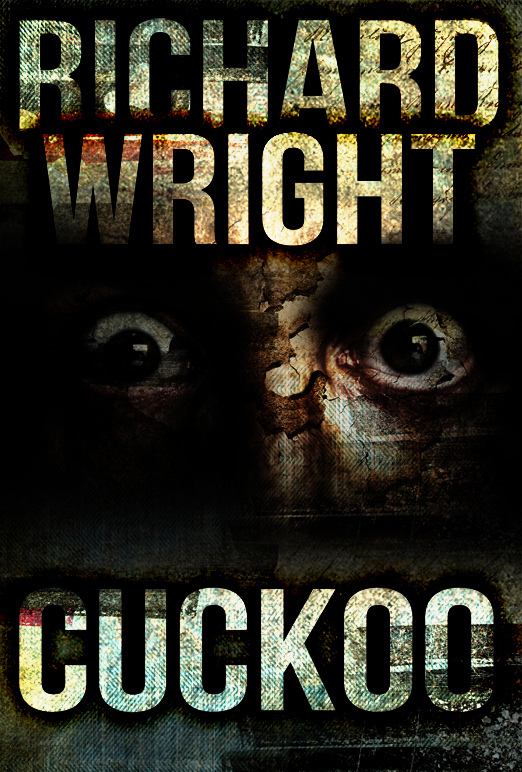 While Thy Fearful Symmetry is a big end-of-the-world novel, Cuckoo is a taut psychological thriller (with, as is often the case with things I write, liberal dashings of horror on the side). In a charming anachronism, the novellas have stubbornly refused to enter the world of digital publication, and are only available on actual paper, made from a tree. Hiram would approve. His Work To See. I mentioned my novel Thy Fearful Symmetry above. His Work To See is a short story I wrote way back at the start of the millennium, that ended up published under the title When The Stars Threw Down Their Spears. Though it was never my intention, the story ended up being a prequel to the then unwritten novel, presenting some key characters and events a few weeks before all Hell (literally) breaks loose in Glasgow. For a while, the story was included in the book as a prologue, but the tone is very different, and the shift from the action packed short story to the more contemplative chapter one never worked for me. I got rid of the prologue, and seeded what necessary information it contained throughout the novel. Though the novel now works without having to read the short story, I thought it would be cool to give the retitled*** tale away anyway. I’ve released it for free as an electronic chapbook for those who are curious, or who want to see just a little more of Ambrose and Leviathan in action. Click the big ad on the left for links to your format of choice. It’s free almost everywhere except for Amazon. Not my fault. Unfortunately, Amazon have so far insisted on trying to make money from it. Smashwords is a suitable alternative for a Kindle-friendly download. Paperback chapbooks have been seen in the wild. They are deliberately rare beasts, that may occasionally turn up when I put in an appearance at writing events. Very occasionally, if you sign up to my equally rare email newsletter, you may find one is furtively delivered to your doorstep, free of charge. You may not. Only time will tell. Dark Faith: Invocations. Brand new from Apex Books, this stunning new anthology features my short story ‘The Sandfather’. I haven’t exactly been screaming from the rooftops about this anthology to date – and I owe it a blog post all its own at some point this week. It’s not because I’m embarrassed by the book. It’s because I’m a little daunted by it. If you’re new to my work, you may not know that I had a story called ‘Sandboys’ published in the inaugural Dark Faith anthology in 2010. That story was the most personal thing I’d ever written, and I still can’t re-read it and get to the end, because it upsets me. ‘The Sandfather’ isn’t necessarily a sequel to the events of that story. The characters aren’t named this time round, but if you remember the last story, it almost certainly will be a sequel for you. If you haven’t read the previous book, then there’s no need to (and if I hadn’t told you there was a previous story, there’s nothing in ‘The Sandfather’ that would immediately suggest you’d missed anything). Again, I’m on very personal ground here, revisiting old traumas and exploring how they became whole new ones. I think ‘The Sandfather’ might be a genuinely bruising tale, though I’m aware that I’m not able to see it very objectively at the moment. I’m proud of it though, and will probably be talking about it on a panel at Anthocon (more on that later this week). World’s Collider. 2012 has been all about the end of the world (the Mayans must be dancing in their graves, screaming “Didn’t we tell you!”). World’s Collider takes something of a novel approach, pun entirely intended, to the depiction of the final days. Although this is an anthology, featuring a slew of talented authors, it’s structured almost like a novel. The events of the book are linear, running from an accident at the Large Hadron Collider and continuing until the last decaying days of humanity, and there are several recurring characters throughout. That said, many of the tales function perfectly well without the supporting framework. You can read this book as you choose to – a collection of short fiction, or a single novel built up from snapshots of the apocalypse as it happens. My own story is called ‘Twitchers’, and is placed close to the end of the book. There have been some extremely excited reviews on Amazon – the structure of the book has caught a lot of people’s imagination. Wildthyme In Purple. Something for those less heavily invested in outright horrors, and want to try something of mine that’s a little more colourful. If colour is in any way missing from your world, then Iris Wildthyme is the woman for you. Iris has a long and complex history as a character. She’s the creation of Paul Magrs, and has turned up in Doctor Who stories as well as her own. She travels through time and space in a red double decker bus that’s slightly smaller on the inside than it looks like it it’s going to be before you climb in. She has had a variety of companions, but is currently accompanied by one called Panda. There’s a very good reason that he’s called Panda, but I won’t give it away here (slide your eyeballs slightly to the side, and the cover may reveal all). Iris is an utter joy, and getting to write stories for her has been a real thrill. I’ve done two now. The first was called ‘The Story Eater’ in a book called Iris: Abroad, and is sort of about New Delhi, and lives, and stories. Wildthyme In Purple is the most recent of the two, is probably my favourite, and contains my tale ‘The Many Lives Of Zorro’. It’s got Zorro in it. Actual Zorro. Swashing his buckles, right in your face. I recommend you to go and grab a copy, if you have any adventure in your soul at all. So that’s me, and some of the stuff I do. Hop you’ll stick around for the next batch. It’s in the oven now, overcooking, just like this strained metaphor. *mischevious, gnomish fellows with eight legs and a thousand fingers, like helpful counting-spiders. **sort of. I leave you to find that particular Amazon review for yourself. ***seriously, When The Stars Threw Down Their Spears is a lot of title for a little story.